If you’ve been lucky enough to visit the Doctor Who Experience, you know what the title of this post refers to. By the way, during all these years we’ve been asked several times to sell Comic Who gadgets. We made t-shirts, clay dolls and many more stuff, but mainly as prizes for contests, and every time we post something about a new object we are literally drowned by requests. We can’t handle so many requests, but we’ll try to satisfy as many followers as possible. Every now and then we’ll publish a new product on our shop (when it’ll be ready, it’ll be available at this link). Every product will be available only for a limited time and only in a limited quantity. I know this may be not enough, but all our stuff are handmade, so it will be impossible for us to fullfill all the requests. 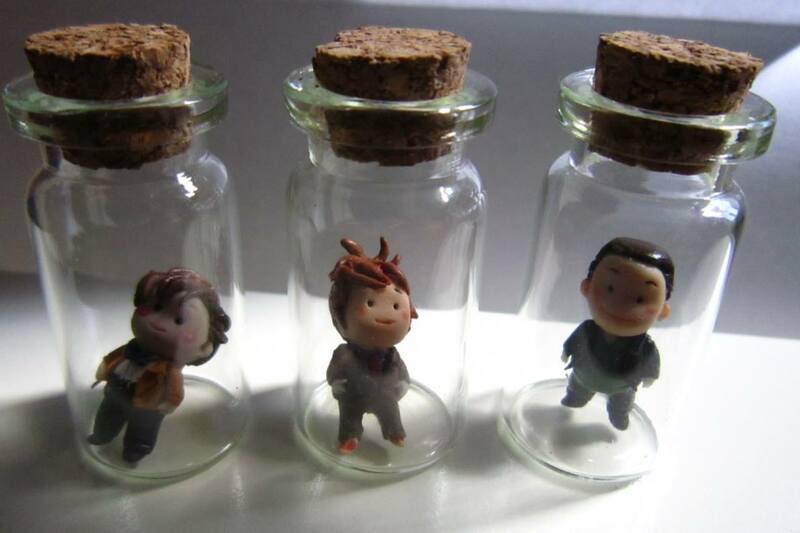 Anyway, as highly anticipated on our Facebook page, the first products for sale will be the Doctors in the Bottle made by our amazing friend Chaiara Cavalli… Hope you like it! We haven’t decided yet when to open the shop, we want to have a few stocked items before opening for sale, but we’ll announce it on this website as soon as we’re ready. We're not dead... We regenerated!